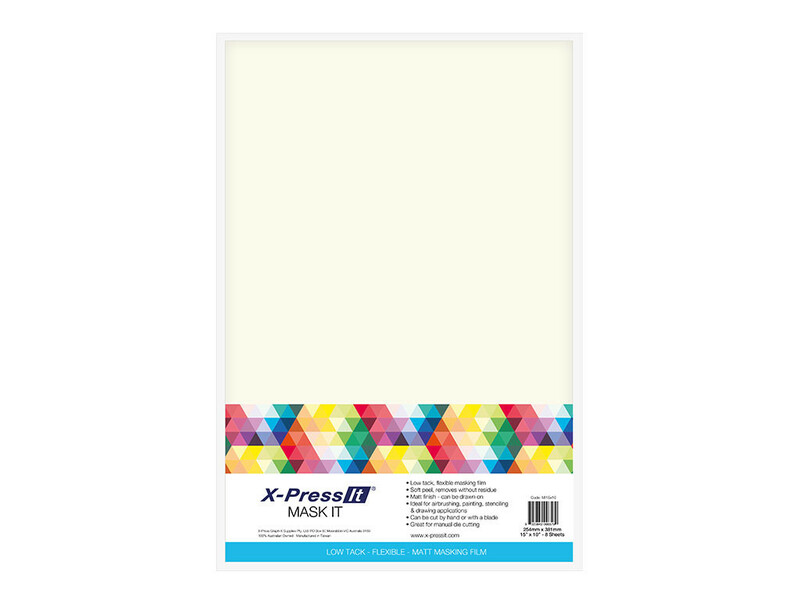 X-Press It Mask It is a low-tack, flexible masking film with a matte finish, ideal for airbrushing, painting, stenciling, sponging, etc. The film is easily die-cut, leaves no residue whatsoever, and can easily be moved, reapplied and re-used multiple times. It’s available in sheets HERE (which is what I use) or rolls HERE. First, cut a piece of Mask It to size then tape several dies in place. 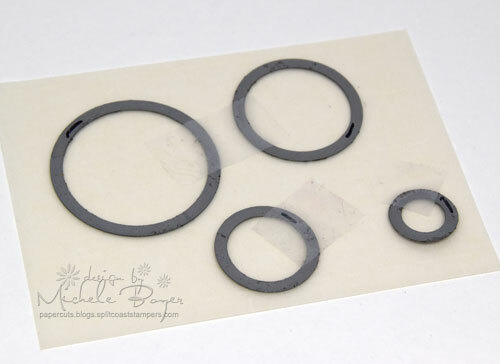 I recommend using a shim (like this) when die-cutting to assure the dies cut cleanly through the film. 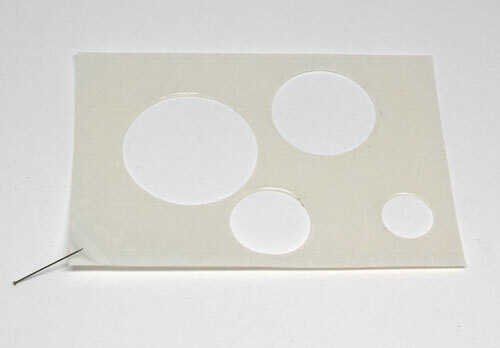 Once die-cut, remove the circles then separate the film from the release paper. I use a pin to help separate the layers. Adhere the film over the card stock and begin blending in the open spaces. Once ink is blended, carefully remove the film and readhere, positioning the film as desired. So easy! 🙂 You can find more info on X-Press It Mask It HERE. 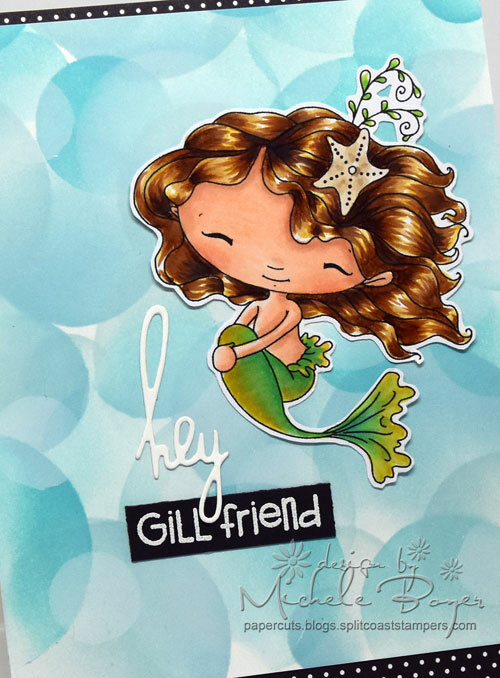 The mermaid was printed onto X-Press It Blending Card and colored with Copic markers (as listed above). This entry was posted in Copic, My Designs, Paper Smooches, Tutorials. Bookmark the permalink.